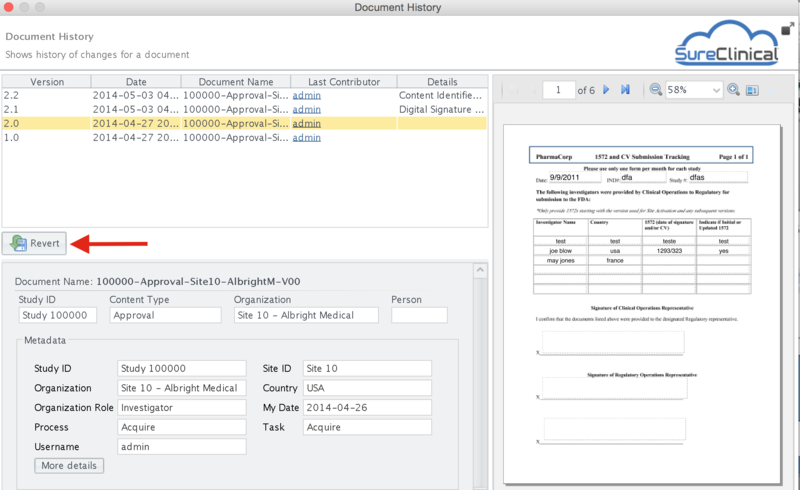 Right click on a document and select View Document History. Document Navigator should be in View mode. 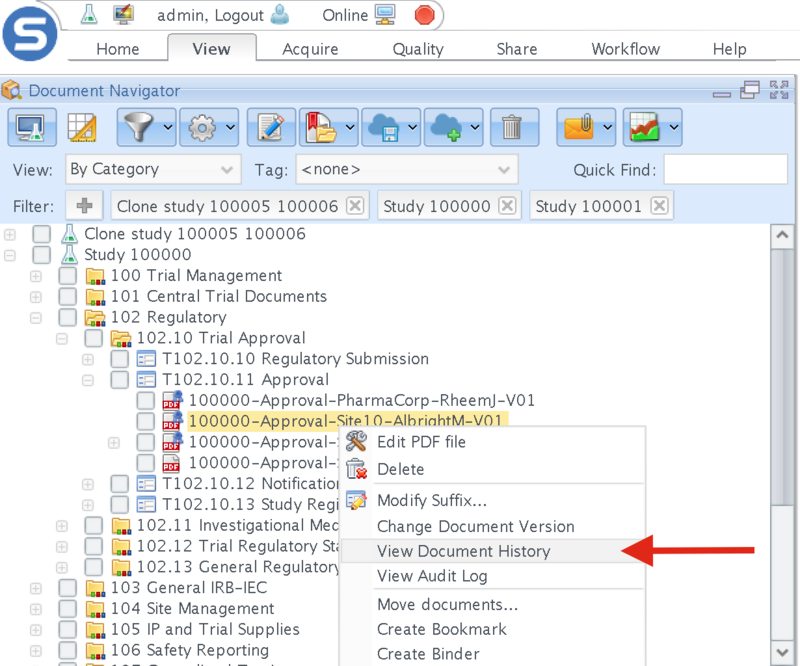 2 Choose a document version and click the Revert button.